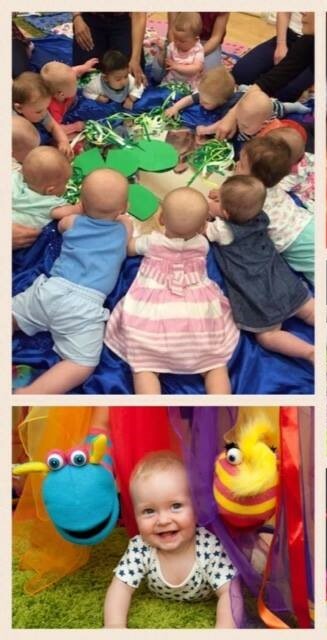 Book your FREE TRIAL with Hartbeeps’ award-winning magical, musical, multi-sensory classes starting on 9th January! Hello, my name is Vanessa and I am super excited to be bringing the award-winning Hartbeeps classes to Stockport and Cheshire. I have been a primary school teacher for over 13 years and have thoroughly enjoyed working with children across all key stages. I recognise the benefits of music and sensory experiences and have seen how they complement and enhance every stage of a child’s early years. I am a mummy of 2 and I have enjoyed a range of baby and preschool classes with my own children. 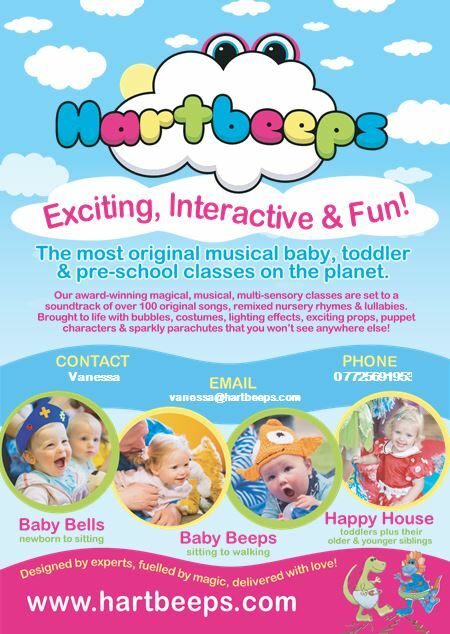 Hartbeeps was a real hit with my daughter and she thoroughly enjoys the magical, musical adventures each class brings. Knowing how much my own daughter loves Hartbeeps makes me really excited to share the Hartbeeps joy with lots of other young ones and their grown-ups. Please feel free to get in touch with any questions and I will look forward to seeing you very soon. To book your FREE TRIAL class on Monday 9th or Tuesday 10th January 2017, contact Vanessa at vanessa@hartbeeps.com or call 07725691953. The first term will then run for 5 weeks from 16th January.